Services were begun by Rev. C. Sans, at first in homes, then at 915 N. 2nd Street. Congregation was organized as the German Ev. Lutheran Church on Oct. 22nd; lots were purchased as first church site for $200.00. First church built; cost $4000.00. First teacher called. Sunday School organized, classes in both German and English. The German Evangelical Lutheran Society of this city, under the ministerial charge of Rev. Christian Sans, have taken all the initiatory steps towards putting up, during the coming season, a good substantial church, which shall be an ornament to the city and a credit to themselves. They have purchased a lot directly north of and adjoining Daniel Hall’s beautiful location, in the eastern part of the city, upon which to build and it is claimed that a pleasanter location is not to be found on the east side of the river. The lot is 108 by 80 feet, and was purchased of Mayor Prentiss for $200. The building is to be in length 80 feet, in width 40, and 22 "between joints" in height, with a gallery of good dimensions. The cost of the house according to the plan drawn is estimated at $4000. Cross Reference: John Dornfeld said to be contractor. First organ purchased at cost of $449.00. Rev. Sans accepted a call to serve St. Peter’s of Joliet, Illinois. Rev. 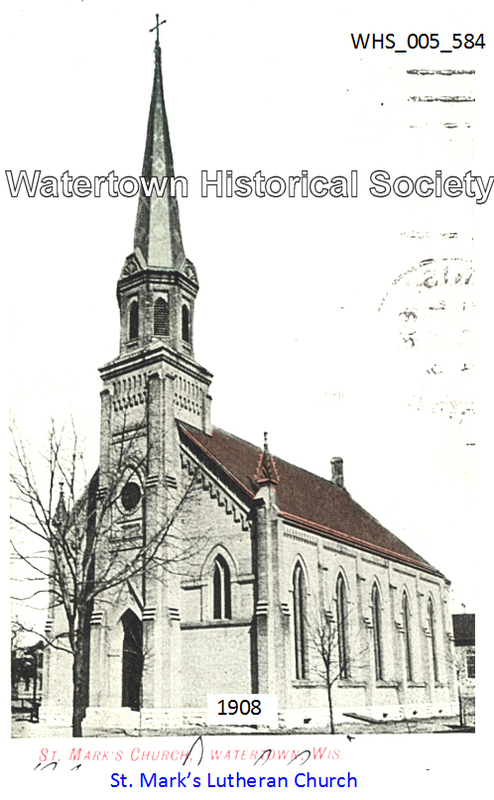 Bading left for Europe to gather funds for a proposed college in Watertown, returned in Nov. of 1864 with about $13,000.00. 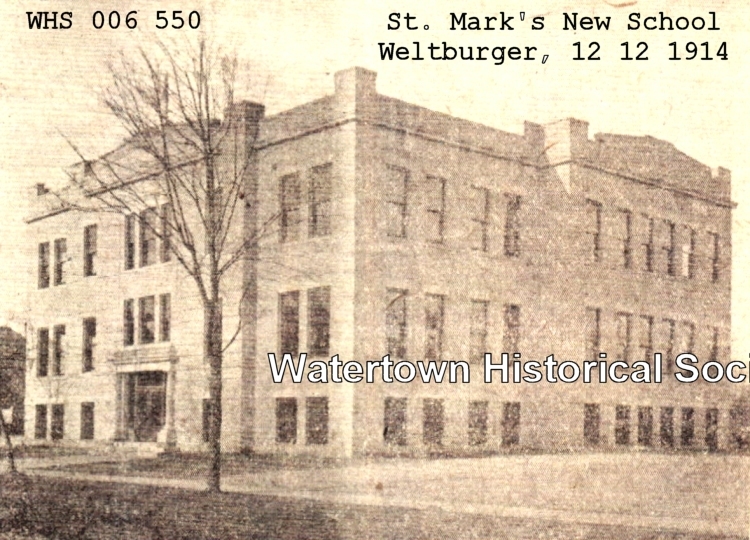 Seminary classes initiated in St. Mark’s School, later moving to 814 N. 4th St. (1863 -1865). Students at first lived in the Bading parsonage during his absence in Europe. New school dedicated. First building dedicated at Northwestern “University”. First parsonage built on Jones St., to be moved in 1914 to 606 Madison St.
Rev. Bading accepted a call to serve St. John’s in Milwaukee. Prof. Adolph Hoenecke accepted a call as St. Mark’s pastor, but served only four months because of the press of his duties at Northwestern College. Second classroom added in our school. Joint Reformation & Mission Festival services initiated with St. John’s. Rev. R. Adelberg installed as pastor (1869 - 1873). Pastor’s salary, $700, teachers’ salary $40 monthly, janitor’s $60 a year. Prof. Ernst called as assistant pastor (1870 - 1912). Served as second president of NWC for 50 yrs. Third class-room added in our school. Special collection taken for victims of the great Chicago Fire. Rev. Adelberg left to serve St. Peter’s Milwaukee, succeeded by Rev. Henrichs, who was relieved of his office in 1874. Rev. 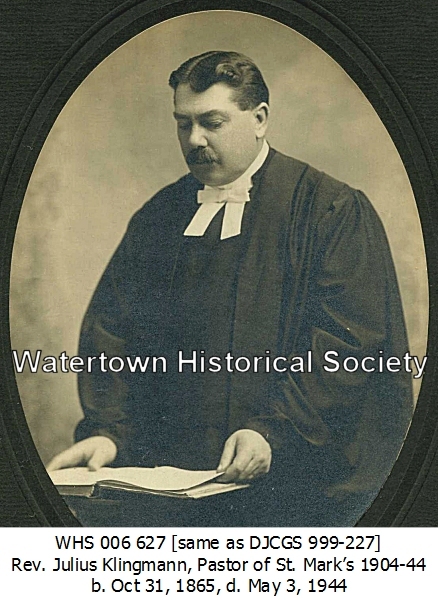 J. Brockmann was installed as pastor, serving until 1904. Male Chorus organized, as also the Ladies’ Aid Society. Controversy erupted throughout the Lutheran church on the Doctrine of Election by Grace. A small group left St. Mark’s to form St. Paul’s, which joined the Ohio synod, building a church at 309 S. 6th which existed from 1883 to 1930, when the group disbanded. Two lots purchased for present church for $1575.00, cornerstone laid on Pentecost Sunday. Building of the present church structure for slightly over twenty-three thousand dollars, and changing of name to "Die Evangelische Lutherische Sankt Markus Gemeinde (The Evangelical Lutheran Saint Mark's Congregation) of Watertown, Wisconsin"
Martin Luther is to be considered the founder of, particularly, the Christian parochial school. In it the children are taught the pure word of God, and this is made the means of their education. The duty to maintain such schools evolves from the Scripture, and their purpose is to educate the children to be true Christians and good citizens. Christian and believing teachers are necessary for the work, and parents must work in conjunction with the teachers. Christian parents, therefore, must see that their children attend parochial schools. Their organization and maintenance, for this reason, is the duty of the congregations. Commissioning of synod's first missionaries to work among the Apache Indians in Arizona in a service at Saint Mark's, by Rev. Ernst, then serving as the president of the Synod. The 300-pound bell which occupies the belfry in the new Northwestern University building was dedicated last Wednesday afternoon, President A. F. Ernst, Prof. Notz and Rev. J. H. Brockmann leading in the ceremonies. In the evening the festivities terminated with a banquet for the students in the university dining hall. The bell was donated by the ladies’ society of St. Mark's church. It is expected that the university will soon enjoy a complete electric bell system, the same to be a gift from Prof. Weimar, of the faculty. ST. MARK’S INTRODUCED THE NEW SYNOD HYMNAL. NAME OF CONGREGATION CHANGED TO “ST. MARK’S”. Palm Sunday at St. Mark’s Lutheran church was fittingly observed with an interesting sermon delivered by their pastor, Rev. J. H. Brockmann. The floral decorations were both numerous and beautiful. A large number of children were confirmed. The pastor in his sermon spoke highly of the good work that had been achieved in the parochial school during the past year, the children being such faithful little workers and admonishing them to maintain their zeal in the good cause of Christ in the future as they had in the past. The following named persons were confirmed. August Kerl, Albert Zautner, Walter Schlueter, Ludwig Bergmann, Emil Stueber, Franz Kube, Benjamin Wittnebel, Arthur Wilde, August Tietz, Robert Schmidt, Zeno Brueger, Oscar Hofs, Will Abela, Leonard Arndt, Edward Kuckkahn, Emil Buedler, Carl Hub, Bernard Lenius, Willie Maron, Franz Nowack, Herbert Jaeger, Oscar Hayer, _?_ Mattke, Carl Hoppe, Oscar Ebert, Hermann Hellwig, Bernard Bartz, Theodore Eggert, Emil Schmidt, Leona Eickel, Adele Scherer, Amelie Mueller, Emma Seidel, Bertha Gloede, Martha Tripke, Minnie Muernberg, Anna Mutzel, Anna Schoppe, Clara Schwierski, Margeret Fisck, Elsa Buerger, Ella Buntrock, Adelia Braeger, Adele Krueger, Minnie Rehbaum, Clara Krueger, Louise Baldt and Ella Kube. Rev. Brockmann died suddenly on Jan. 20th, having served for 29 years. Rev. J. Klingman accepted call (1904 - 1944). St. Mark’s observed its 50th anniversary, with Rev. Bading as speaker. There were 285 families. Prof. and Mrs. W. K. Weissbrodt, superintendent and matron of the home for feeble minded and epileptic children and Prof. and Mrs. E. M. Kirch, teachers in the institution, leave today for Milwaukee, to which city their household goods were shipped yesterday, where they will get things in readiness for the coming of the children . . . the congregations of both St. Marks and St. Johns churches having provided the necessary bedding and furniture for their comfort while they remain. The finishing touches are being put on the new St. Mark's church parsonage, which will be ready for occupancy in a few days and into which Rev. Julius Klingmann, the pastor, and his family will move after Christmas. The building is a credit to the congregation of St. Mark's and to the city and has been erected on Madison Street at the end of Seventh Street [610 E Madison], making a striking appearance from the main thoroughfare of the city. For appearance and convenience, it is one of the best residences in the city. It is a commodious twelve-room house with all the modern conveniences, including steam heat, gas and electric lights, hot and cold water, baths and a beautiful fire place. Downstairs there are six rooms as follows: Pastor's reading rooms, library room, alcove, setting room, dining room and kitchen. The rooms are all finished in white oak and make a striking appearance. The dining room is especially pretty, being finished in painted work with burlap background. Charles Huenfeld, the contractor, certainly did an excellent job and one that has given general satisfaction. Theodore Dobbratz has likewise shown his excellent workmanship in the interior and exterior decorations. Every room is a model of neatness and reflects much credit upon Mr. Dobbratz. The mason work was done by John Diehl and is in keeping with the balance of the work. St. Mark’s church used by St. John’s during its building program. New parsonage built for $10,000 at 610 Madison; the first parsonage was moved from Jones Street to 606 Madison. Church renovated, lights installed; dedicated on Nov. 22nd. 02 12 NEW $20,000 SCHOOL. Special services in the church and at the school building will make Sunday next, the dedication day for the new parochial school of St. Mark’s church, a day long to be remembered by the members of the congregation and the public generally. Two visiting pastors, Prof. John Schaller of Wauwatosa seminary and the Rev. Henry Gieschen of Milwaukee, will be here to assist in the services. Prof. Schallen will preach at the morning service to be held at the church at 10 o’clock, and the Rev. Gieschen will preach at the afternoon service which will begin at 2:30. Following the morning service, the congregation will repair to the new school, where the dedicatory exercises, in charge of the Rev. Julius Klingmann, pastor of St. Mark’s, will begin at about 11:15 o’clock. The afternoon service will be held in the church and at its close, the new school will be opened for the inspection of the members of the congregation and the public. President — William Gorder, Sr.
Vice President — Herman Zimmermann. School board — Herman Marquardt, Emil Kaercher, Gerhard Rippe. Relief committee — Richard Biefeld, Herman Bublitz, Frank Zastrow. 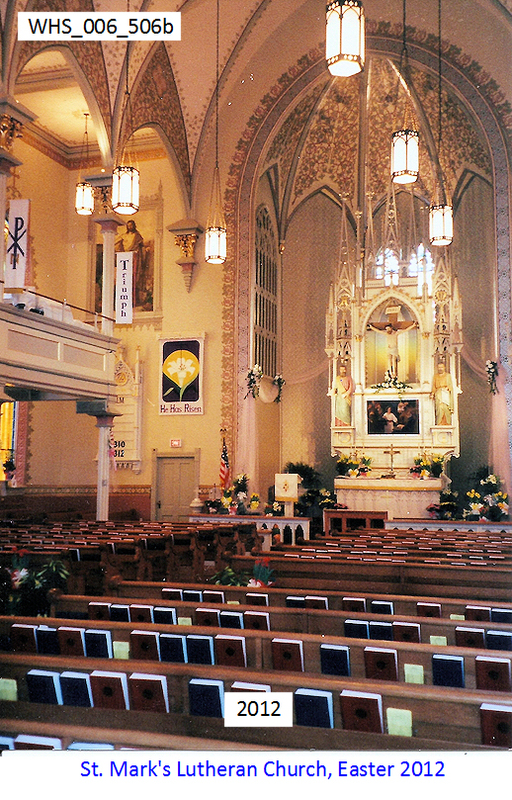 Trinity Church was organized to provide English services, held church in St. Mark’s auditorium for almost three years. School expanded to include all 8 grades. A Milwaukee contingent of 350 Lutherans of twenty-eight churches took two special trains on the electric road and added to the 6,000 that had already gathered from this city, Jefferson and Fort Atkinson. 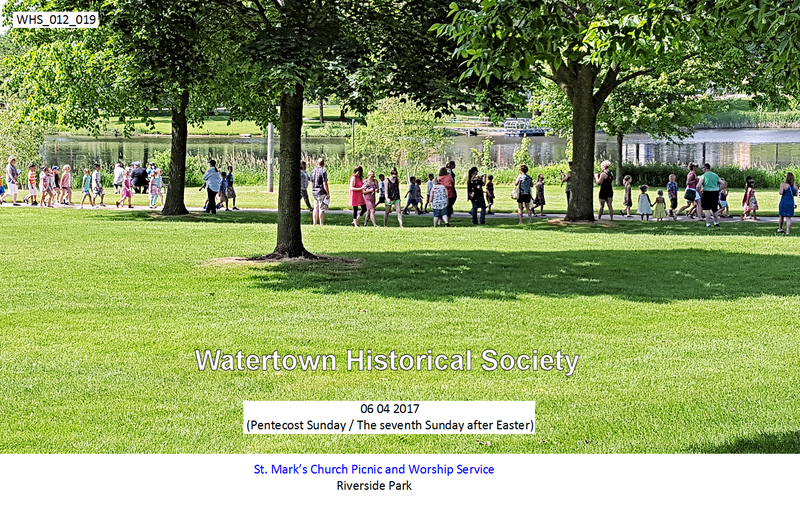 The party was escorted to the Bethesda home by the St. John’s band and the morning service in German which followed immediately was led by the Rev. Clarence Sheuer of Lowell, Mass. The afternoon program was in English being featured by a sermon by the Rev. H. C. Jans and a talk to the children by Prof. Theodore Schlueter of the Northwestern college. WEEKLY ENVELOPE SYSTEM, quarterly statements introduced. School closed for 6 weeks during epidemic. Annual budget of $14,000 adopted. A piano recital was given in St. Mark's school hall. The recital will be rendered under the direction of Miss Elizabeth Ernst by pupils of her class. . . . Those participating will be Gertrude Wendland, Severa Gamm, Eugenia Meyer, Marion Brandt, Margaret Neumann, Bernadine Archie, Margaret Bruegger, Margaret Jaeger, Paul King, Vanita Dornfeld, Esther Kuhlow, Werner Franzmann, Norma Conrad, T. Uelzmann, A. Dornfeld, Eleanore Kuhlow, Edgar Groth, Stella Kurzweg, Elsie Splitgerber, Isabella Fisher, Cornelia Groth, Adela Doering. German/English Catechism introduced, also English services. St. Mark’s commitment to Synod budget was $2348.19, the highest of any congregation that year. NEW AUSTIN ORGAN installed, at cost of $12,000. Old organ given to Bethesda. Rev. William Eggert was installed as first Associate Pastor. Prof. Huth of NWC had served for 17 years in a part-time capacity. At that time membership stood at 2000 souls. KURT OSWALD came as principal. The Choir observed its 50th anniversary. Rev. J. Klingmann died on May 3rd at the age of 78 years. Rev. Gerhard Redlin was installed as Associate Pastor (1948-1957). 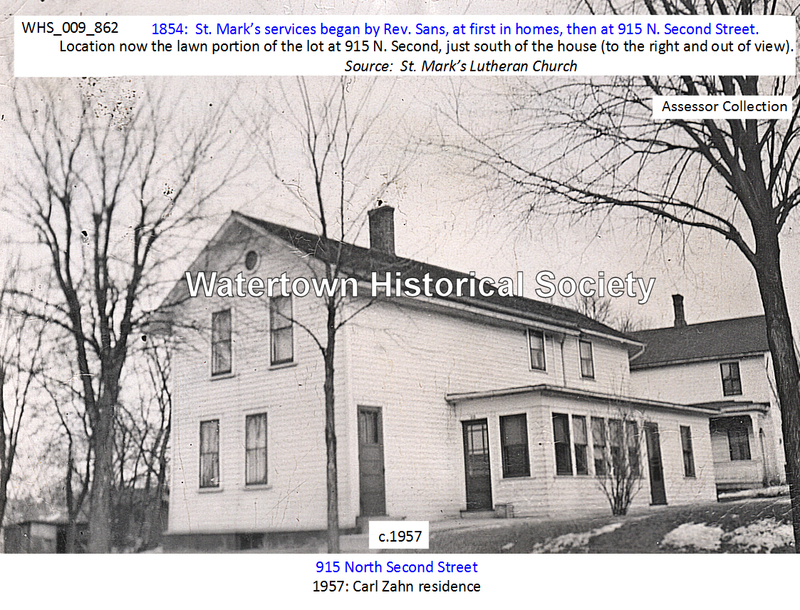 Second parsonage purchased, at 1025 Main (sold in 1968). Rededication of remodeled and renovated church, with new entrance, heating system, lighting. Cost, $54,237.69. School extensively remodeled at cost of $15,796.91. St. Mark’s celebrated its Centennial with year-long activities. There were at that time 1685 confirmed members, 2200 souls, 2 pastors and 8 teachers, with 300 pupils in school. 09 28 Plans for the construction of a new unit to St. Mark’s Christian Day School were announced today. Initial steps for the new school plans were taken about a year ago when St. Mark’s congregation purchased a property and since then two more, located between North Sixth and North Eighth Streets, facing north on Cady Street. These sites will be utilized as part of the general building plan. On the acquired property St. Mark’s intends to erect the first unit of a new school building. The planned unit is to have a gymnasium, four classrooms, a principal’s office and other rooms. It is planned at present to have a complete basement underneath the four classrooms and office space. This basement space is to be used for a lunchroom, kitchen, boiler-room, locker rooms, etc. Rev. Kehrberg accepted a call to Minneapolis. 05 09 At a meeting held last night, St. Mark's Lutheran Church gave the “go ahead” signal for the construction of a new parish school to be erected on its property fronting on Cady Street. Final approval of the plan was voted. It was also disclosed that the Maas Bros. Construction Co. of Watertown has been awarded the general contract and that the plumbing and heating contract will go to the Otto Biefeld Co. while Arthur Ruesch will do the electrical work. Plans now call for construction to begin this summer. The architects are Edgar A. Stuebenrausch and Associates, Sheboygan. The new school will be one story high, with full basement and will be designed to allow future expansion when the present St. Mark's School is abandoned. 05 11 The building committee of St. Mark's Lutheran Church today called for bids for the new parochial school the congregation will construct this summer. Bids will be received up to 4 p.m. on May 7 and are to be sent to or delivered to the residence of the pastor, the Rev. Gerhard Redlin, 610 Madison Street. Theodore Guse is chairman of the committee. Bids will be received for the general work and there will also be separate bids for the following, either separately or any combination of bids: heating and ventilating, plumbing and drainage, and electrical work. 09 25 St. Mark's Lutheran congregation turned out in large numbers Sunday afternoon for the cornerstone laying ceremonies held at the parish school which is now under construction. A beautiful fall day marked the occasion. St. Mark's Church, where a brief service was held prior to the ceremony itself, was filled to capacity. The program opened with a hymn and this was followed by the pastor, the Rev. Gerhard Redlin, reading from the scriptures. The choir sang an anthem and the address of the afternoon followed. It was delivered by the Rev. K. A. Timmel of Trinity Lutheran Church. Rev. James Fricke arrived as Associate Pastor, installed on Oct. 21st. St. Mark’s observed Rev. Redlin’s 25th anniversary. New School dedicated; cost about $381,000.00. Rev. Redlin died suddenly of a heart attack on Dec 1st. at the age of 52. Rev. Harold Wicke was installed on April 20 (1958-1969). Lakeside Lutheran High School opened its doors at Fort Atkinson. Our Synod severed its relationship with the Missouri Synod. Rev. James Fricke accepted a call to serve in Benton Harbor, Michigan. Rev. Henry Paustian was installed as Associate Pastor on Feb. 3rd. St. Mark’s Lutheran Church has completed plans to honor four of the faculty members of St. Mark’s School in recognition of their long years of service which they have given as Christian Day School teachers. There will be a special service in the morning and a reception in the evening. Both events will be held Sunday, Oct. 4. Henry F. Krenz, principal of St. Mark’s School, is rounding out 25 years as a Christian Day School teacher. Nine of these were spent at St. Mark’s. Miss Ruby Reich has been a member of St. Mark’s faculty for 38 years. Miss Louise Fenske came to St. Mark’s 34 years ago and Miss Ada Sievert has a record of 33 years, interrupted by teaching elsewhere. 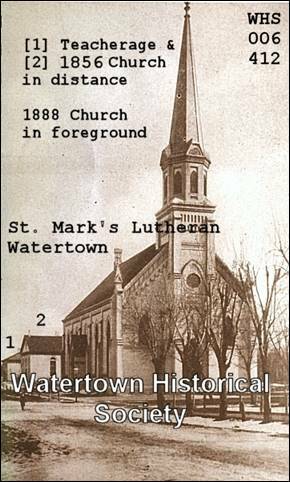 The Wisconsin Evangelical Lutheran Synod which numbers St. Mark’s and Trinity Lutheran Churches in Watertown among its members and of which St. Luke’s Lutheran Church is an associate has made plans for the construction of the Wisconsin Lutheran chapel and student center at Madison. The Rev. Henry E. Paustian, one of the pastors of St. Mark’s Church, who serves as mission’s chairman of the synod’s western district, first made the plans known several months ago and the purchase of property for the construction has now been completed. Henry Krentz left to serve in New Ulm, Quentin Albrecht was installed as new principal. Home purchased at 904 6th Street. Third English service introduced, with German Services moved to the Parish Hall. Rev. Wicke accepted the call as Editor of the Publishing House in Milwaukee, preaching his farewell sermon on June 29th. Rev. Myron Kell was installed as Associate Pastor on Oct. 26th. Dedication of renovated church on May 2nd. New narthex, toilet facilities and stairs, parents’ room, basement room, ramp. Cost of $172,000 was met in two years. St. Mark’s observed Pastor Paustian’s 25th anniversary of ordination. Dedication of new school addition with 10 class-rooms, church office, janitorial and storage rooms, faculty lounge, book-store. Cost $350,000.00. School enrollment, about 460. Trinity Church moved into its new school in Jan. with 95 pupils and 3 teachers; St. Mark’s added a 12th teacher, along with a 13th part-time teacher for the new Kindergarten Room. A teacherage was purchased at 610 Cady St. 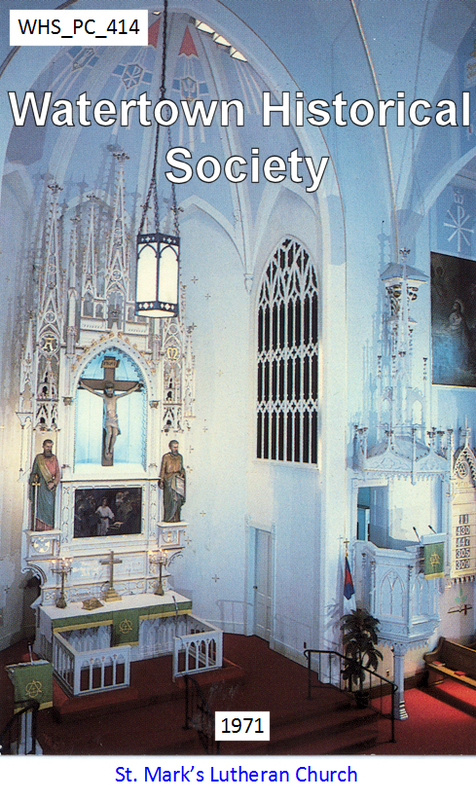 Membership - 2000 communicants. 2600 souls. Pastor Kell’s 25th year in the ministry was observed by St. Mark’s. A home was rented at 313 S. Monroe to serve as a parsonage. St. Mark’s commitment to the Synod, $105,000.00. Total budget: $514,293.00. Recognition Dinner observing Pastor Paustian’s 20 years of service at St. Mark’s Aug. 21st. 1995 Establish fourth and fifth part-time / semi-retired pastoral positions at Saint Mark's. 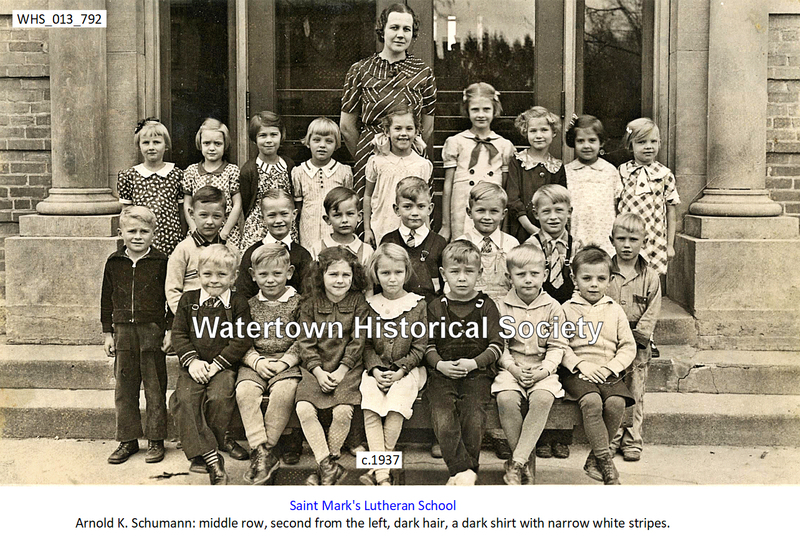 The German descent that is rooted deep within the heritage of the people in the Watertown area is not as noticeable in everyday life, but those who attend church at St. Mark’s Lutheran Church see it every Sunday and hear it twice a year. “The church didn’t begin to hold worship services in English until the 1920s and before that German was the only language used,” the Rev. Karl Walther, who inherited preaching the German services and has been doing so for the past 10 years, said. The church keeps that historical tradition alive twice a year with a service spoken in German on Christmas Eve and on Good Friday. 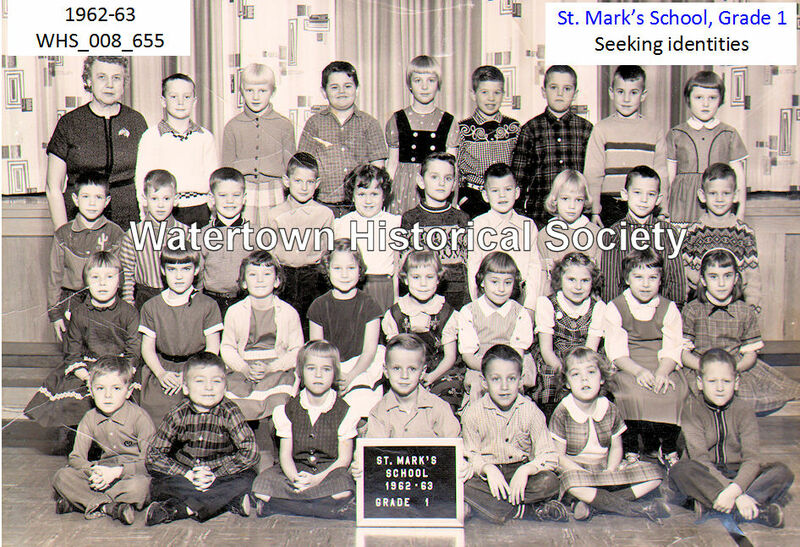 St. Mark's has had musical groups in its midst since the very early days in the 1850s. For many years, the male chorus provided music for regular worship services as well as for special occasions. In 1891 a group of individuals received permission of the minister at the time to form a chorus of mixed voices. It was a new concept for the congregation because at that time men's and women's groups were separated in almost every avenue of church work. 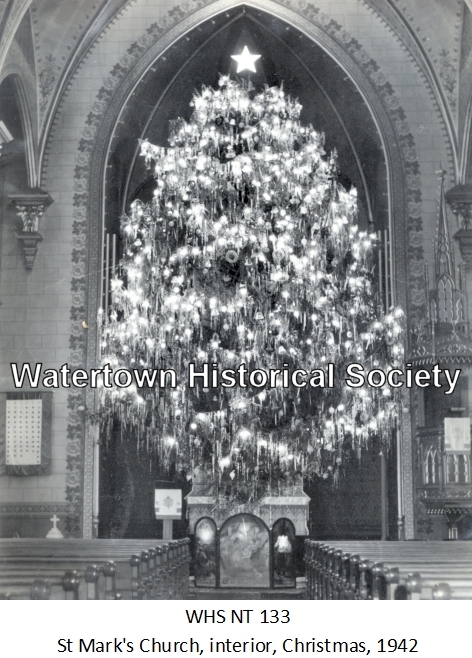 The first organizational meeting of the choir was held on Oct. 31, 1891, 115 years ago. Later that year, on Christmas Eve, the choir made its first public appearance. They sang “Ihr Kinderlein kommet” (”Oh Come Little Children”) during the children's Christmas service. St. Mark’s Evangelical Lutheran Church, 215 N. Sixth St., will hold a special song and music communion service on Sunday at 9 a.m. This service will mark the retirement of minister of music Bill Birsching. Professor Birsching came to St. Mark’s from Martin Luther College in New Ulm, Minn., in 1998 and has served as a part-time minister of music for the congregation. He and former minister of music John Jenswold developed a strong music ministry at St. Mark’s. Under the leadership of these two men, the church went from one choir to four choirs. Under Birsching’s guidance, a bell choir was added and a number of instrumental groups also served the congregation in worship. Frederick Uttech will be installed as the new administrator of St. Mark’s Evangelical Lutheran School on Sunday during the 9 a.m. service. Uttech will head a school of 260 students along with a staff of 13 teachers and eight support staff. He comes to St. Mark’s after having been a teacher and principal at Bethany Lutheran School in Manitowoc for the past 14 years. Uttech is a native of Watertown and graduated from St. John’s Lutheran School, the former Northwestern Prep School, Wisconsin Lutheran College in Milwaukee and Dr. Martin Luther College in New Ulm, Minn. He is completing his master’s program in leadership from Silver Lake College in Manitowoc. 03 26 PROFESSOR/REV. CYRIL SPAUDE, 1930-2008. Students at St. Mark’s Lutheran School spent their last days of class taking down chalkboards and carrying desks out of the building in preparation for construction and renovation to take place this summer at the school. “It’s been exciting,” Carol Pagels, kindergarten teacher, said. “The students have been adjusting really well and having the older ones help has given them a sense of ownership to the school. They’re looking forward to the new changes just as much as everyone else.” Plans for updating the school have been in the process for a number of years. St. Mark’s Lutheran School is supported by St. Mark’s Evangelical Lutheran Church and is affiliated with the Wisconsin Evangelical Lutheran Synod. The current enrollment at the school is about 260 students in prekindergarten through eighth grade. Earlier this spring congregation members approved the approximately $4 million project that will be done by Maas Brothers Construction and funded through donations from the congregation. 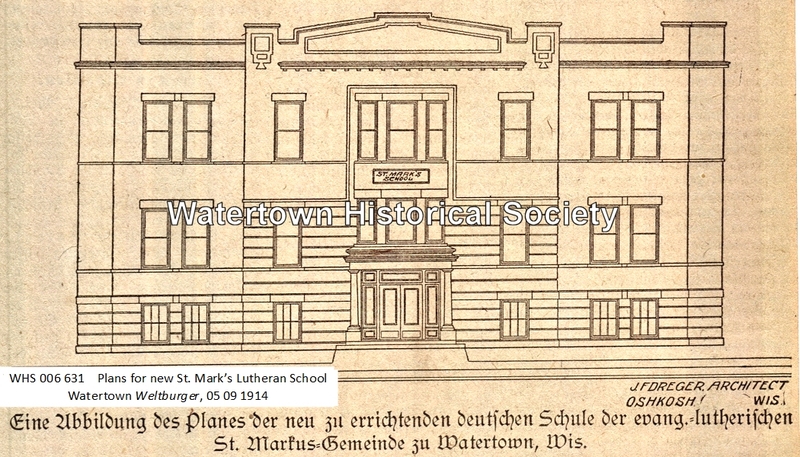 The Watertown Plan Commission Tuesday granted a conditional use permit to St. Mark’s Lutheran School on East Cady Street for an approximately $4 million addition and renovation project. St. Mark’s is looking to construct a 24,600-squarefoot addition that will consist of more classrooms, a gymnasium, administrative offices, a music center, rest rooms, a kitchen and a commons area. About half of the school will be demolished, including the current gymnasium, kitchen, two classrooms, several offices and the dining hall. June $4.3 million school building addition and renovation project started in June 2008. A special service will be held to honor Uttech. Guest speaker will be the Rev. Bruce McKenney of St. Paul's Lutheran Church in Lake Mills. Following the service a reception will be held in the St. Mark's School Commons. Fred Uttech was born and raised in Watertown. He is a graduate of St. John's Lutheran School and the former Northwestern Prep School in Watertown. He graduated from Wisconsin Lutheran College in Milwaukee and Dr. Martin Luther College in New Ulm, Minn. He received Wisconsin licensure and reading license from Silver Lake College in Manitowoc. In 2010, he received a master in educational leadership from Silver Lake College. During his 40 years of ministry he has served as a tutor and instructor at Northwestern College in Watertown. He was a teacher, youth director and pastoral assistant at Bloomington Lutheran Church in Bloomington, Minn. In 1980, he was called to be the principal and teacher at Bethany Lutheran Church in Manitowoc, where he served for 27 years. 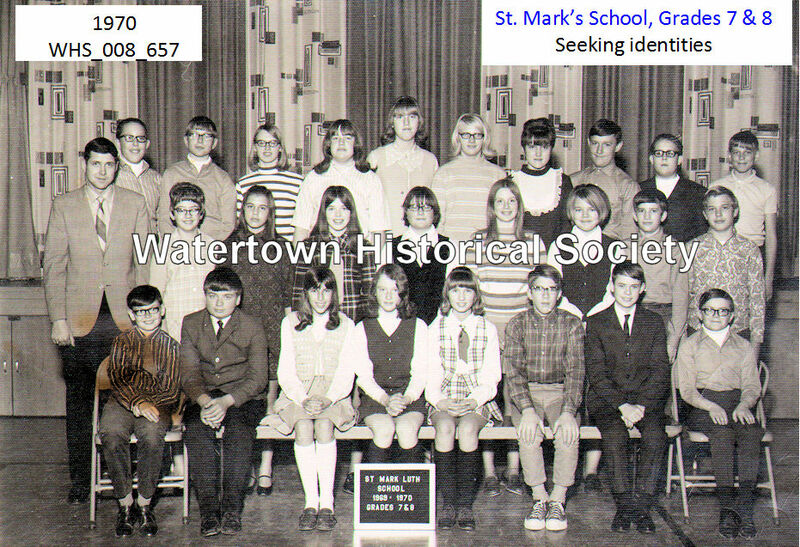 Since 2007 he has served as the school administrator for St. Mark's in Watertown. He is also serving as chairman for the program committee for the Wisconsin State Teachers' Conference and the district school coordinator for the Western Wisconsin District of the WELS. St. Mark’s Watertown will be celebrating its Winter Mission Festival during services this weekend. For the festival, the church will be hosting the Rev. Timothy Dolan, the dean of students at Luther Preparatory School. The theme of Dolan’s message is “You have an important task.” He will highlight the mission of the prep school and how it helps prepare its students to share the Gospel while providing them with a top-notch education. 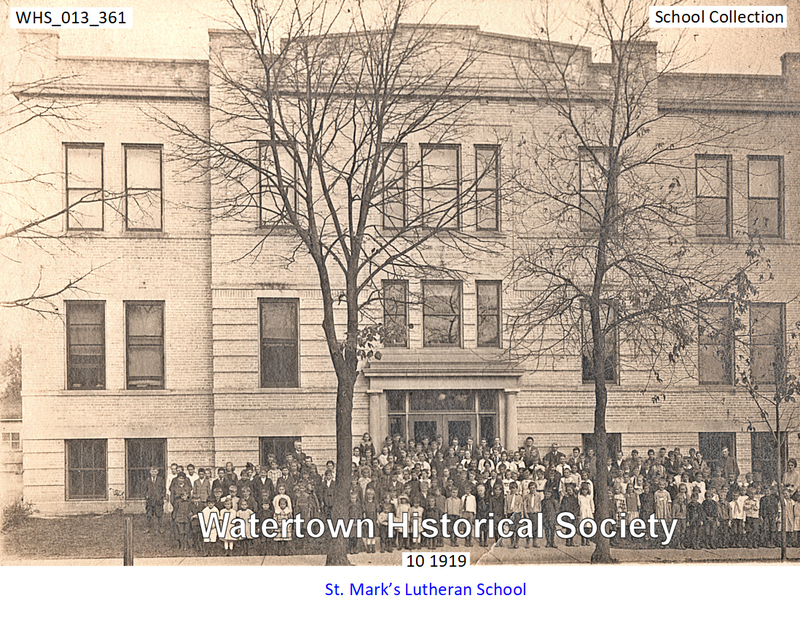 Luther Prep School was founded 150 years ago in Watertown when it began as the prep department of Northwestern College. In 1995 the college was moved but the preparatory school remained and was combined with Martin Luther Preparatory School of Prairie du Chien. St. Mark’s Lutheran Church will celebrate the 40th anniversary of the Rev. James Werner’s ordination into the pastoral ministry on Sunday during the 9 a.m. service. This service will also serve as a farewell and retirement celebration for Werner, who retires at the end of July following 34 years of ministry at St. Mark’s. Werner was born on April 17,1948, in Wausau, to Edward and Ruth (Ahrens) Werner. 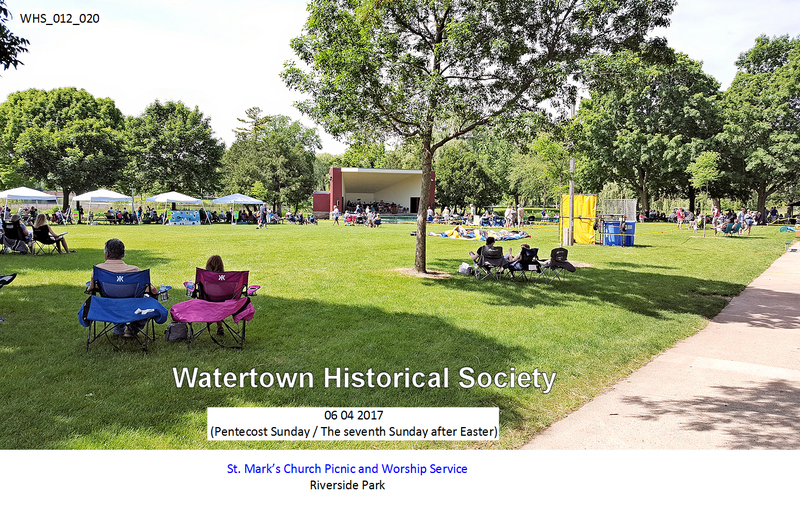 On May 2 of that same year he was received as a child of God through the Sacrament of Holy Baptism at St. Peter’s Evangelical Lutheran Church, Schofield. In Schofield James had the joy of sharing his childhood home with his brother, David, and sister, Joan (Alliet). 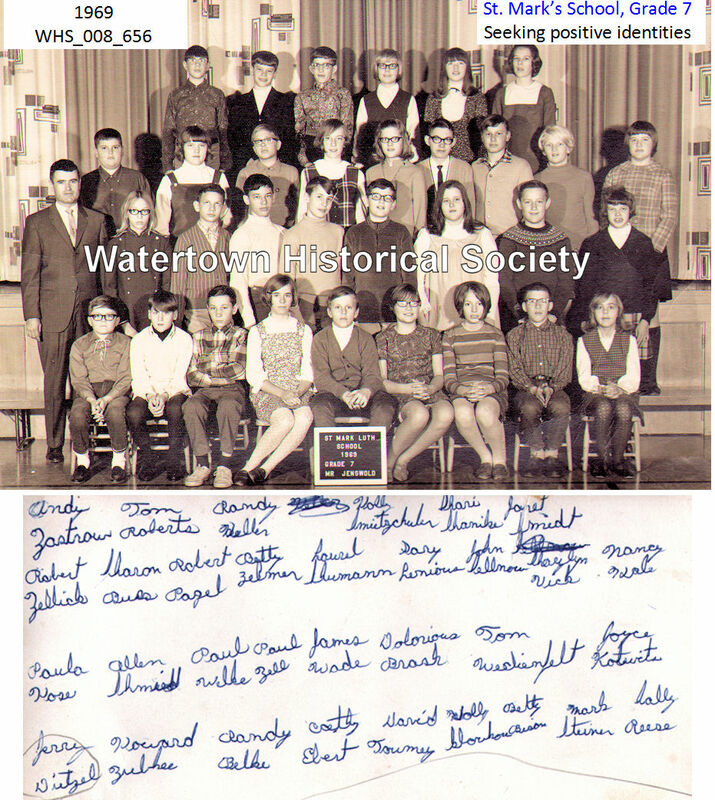 From his very first day of kindergarten, Werner went to school with his future wife, Stephanie “Stevie” Braatz, the two of them celebrating the rite of confirmation together on March 26, 1961, and then graduating together from D.C. Everest High School in the spring of 1966. On June 10, 1972, they were united in Christian marriage at their home congregation. In 1981 Werner was called to serve as associate and youth pastor at St. Mark’s, marking the first time the congregation would have a third full-time pastor. In 1985 his focus became outreach and for the past 20 years he has served as the congregation’s coordinating pastor. In addition to his service at St. Mark’s, he has served the greater community through work on various groups includ­ing the board for Crossroads House and the Watertown Ca­ble Committee. The Werners have two children and three grandchildren. My wife, Stevie, and I along with our children, Heather and Matt, were overwhelmed with the show of appreciation and thanks that you showed to us as I celebrated my 40th anniversary in the ministry and my retirement from my call at St. Mark’s. We wish to thank you from the bottom of our hearts for the kindness, gifts and words of thanks that you have given to us on this occasion. It has been a privilege and joy to serve the saints at St. Mark’s for the past 34 years with the good news of Jesus our Savior. I thank my Savior Jesus for the opportunity he gave me to serve you here. I also thank you for being patient, understanding and supportive of me. I pray that the Lord will continue to bless our congregation as we continue to carry on the mission that Jesus has given to each of us, his chosen saints, to be his witnesses in this dark world and to help one another to grow in our faith life. Backus will service as the school and youth pastor. 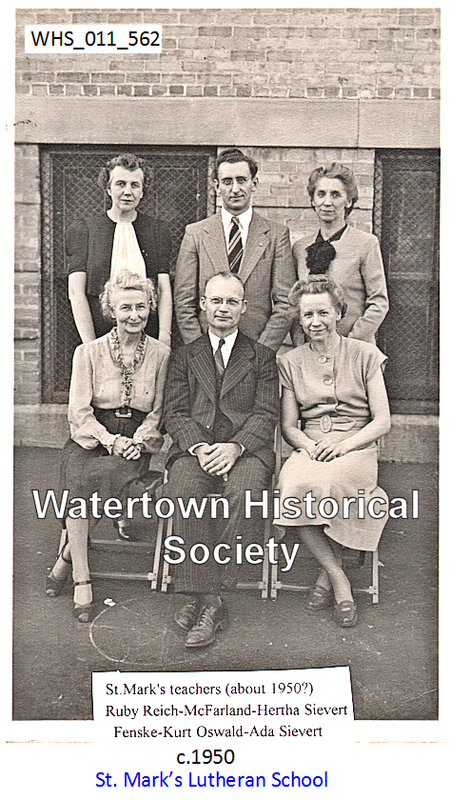 Backus and his family moved to Watertown from Adrian, Mich. He and his wife, Jessica, have seven children, Abel, 12; Annemarie, 11; Elizabeth, 9; Mary, 8; Micaiah, 6; Judah, 4 and Justus, 2. They are also expecting another child in late January. Backus and his wife consider their children to be a blessing second only to Christ himself. Backus was born to Rev. Andrew and Dee (Rusch) Backus on April 14, 1976, in Stillwater, Minn. On May 2, 1976, he was received as a child of God through the Sacrament of Holy Baptism at St. John’s Lutheran Church, Stillwater. With a change of ministry for his father, he spent his grade school years studying God’s Word at Trinity Lutheran Church and School, Johnson, Minn. and on May 19, 1991, confessed his spirit-given faith in Christ in the Rite of Confirmation. In May of 1995, he graduated from Martin Luther High School, Prairie du Chien. Backus and his wife, Jessica (Schmidt) met and married during their college years. They were united in Christ on Aug. 6, 2000, at Jessica’s home congregation, St. Matthew’s Lutheran in Oconomowoc. In May 2001 he graduated from Martin Luther College, New Ulm, Minn. and later served his pastoral internship at Our Savior’s Lutheran Church, Brookings, S.D. Graduating from Wisconsin Lutheran Seminary of Mequon on May 26, 2006, he received his first pastoral assignment to St. John’s Lutheran Church, Florence, where he served until October of 2010. Since 2010 he has served as associate pastor at St. Stephen Lutheran Church in Adrian. In April of this year, Backus accepted Christ’s call to serve at St. Mark’s. In addition to his general pastoral duties of preaching, teaching and visitation, he will serve as the congregation’s education and youth pastor. In his educational role he will serve the children, parents and faculty of St. Mark’s School. As youth pastor he will serve as an adviser to the congregation’s numerous youth ministry. 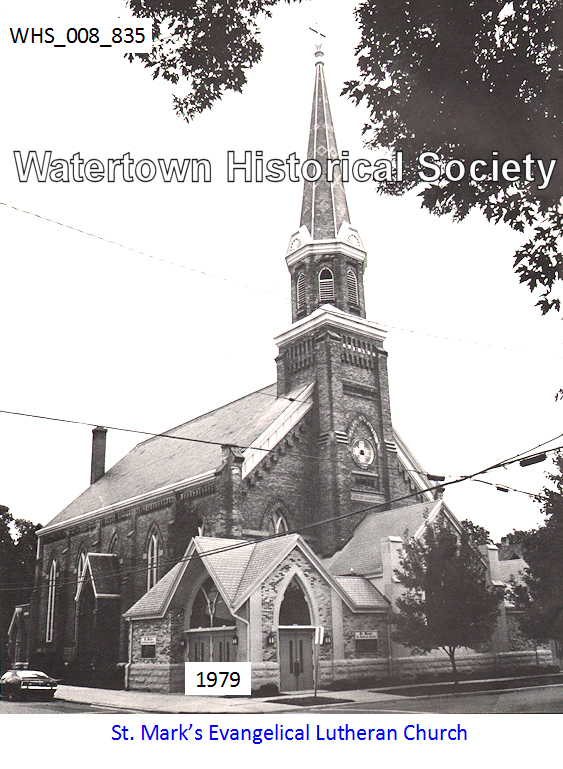 St. Mark’s Lutheran Church of Watertown will celebrate the 40th anniversary of the ministry of the Rev. Charles Iles. The service will include the fifth- and sixth-graders of St. Mark’s School singing “I Will Serve the Lord” by Janine Swain. Iles was born to Elton and Lela (Crouch) Iles on Nov. 1, 1948, in Rock Island, Ill., and was baptized 13 days later at Immanuel Lutheran Church of Rock Island. Following a move to Michigan, he attended grade school in rural Gratiot County, Vestaburg, Mich., and Merrill, Mich. Having grown in his knowledge and trust of Christ, he publicly confessed his faith in the Rite of Confirmation on April 7, 1963, at Zion Lutheran Church, St. Louis, Mich. Iles is a 1966 high school graduate of Michigan Lutheran Seminary, Saginaw, Mich. He is a 1970 graduate of Northwestern College of Watertown and a 1975 graduate of Wisconsin Lutheran Seminary of Mequon. 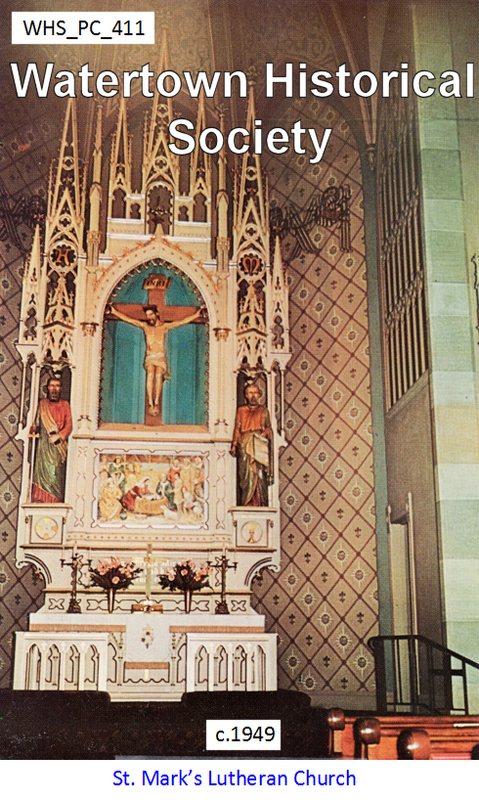 He served his pastoral internship from 1974-75 at St. John Lutheran Church of Westland, Mich. Upon graduation from the seminary, Iles was assigned to serve two congregations in South Dakota, Zion Lutheran Church of Colome and Faith of Platte. In 1980 he accepted a call to serve Mt. Olive of Tulsa, Okla. From 1983 to 1985 he served Peace Lutheran of Cape Girardeau, Mo. 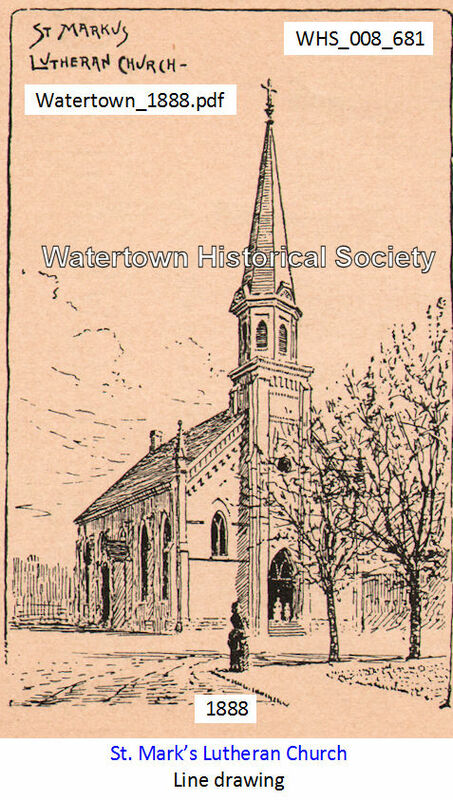 He then moved to Wisconsin where he served St. John Lutheran of rural Waterloo and Immanuel of rural Marshall for the 15 fifteen years. During this time he also served as a part-time instructor at Lakeside Lutheran High School of Lake Mills. In May of 2000 Iles accepted a call to serve as a chaplain with Wisconsin Lutheran Institutional Ministries where he currently works with prison inmates. Since joining St. Mark’s in 2000 he has also has served the congregation as a Bible study instructor, adviser to a care group, chairman of our Board of Pastoral Ministry and congregational chairman. Our Buzard Company contractors are test-fitting our pipe organ in their shop. Over just the next few weeks, they will completely assemble our instrument to make sure everything is looking good; that's the last major step before they bring it home to St. Mark's. Reinstallation is expected to begin in mid-June. God has richly blessed this project at every turn. Between April 1st and May 14th, our members joyfully gave in excess of $50,000 to the Organ Fund, which enabled St. Mark's to receive the full anticipated $50,000 anonymous matching gift early. We expect that just $16,000 is still needed to fully pay off the $535,000 total project cost. Abel Backus, Allen Bockhorst-Miller, Kaelyn Braatz, Emilee Feder, Owen Hildebrand, AnaCristina Iglesias, Benjamin Krueger', Emma Messerschmidt, Cesar Moreno, My a Owens, Zair Palacios, Samantha Ritschke, Aubrey Schmutzler, Emma Strohm, Shelby Webber, Alexander Zache, & Jackson Zietlow. Hayden Buske, Turner Buske, Jacob Butler, Lucas Chesmore, Derek Doerr, Daniel Dowd, Leilany Emilio—Miguel, Emilio Enriquez, Gabriella Genz, Hannah Hanson, Noah Haseleu, Samantha Higgins, Skylar Jannke, Dominique Miller, Dawson Nickels, Bryce Olson, Elizabeth Oswald, Paige Schmutzler, Bryce Schuett, Anthony Sell, Madison Sell, Peyton Wolter, Evan Yanick, and Alexis Zietlow. St. Mark’s will celebrate its Lutheran heritage and the 500th anniversary of the Lutheran Reformation during October. This week’s worship highlights “Sola Scriptura,” or that people are saved by Scripture alone because it proclaims Jesus Christ as Savior. Saturday’s service will feature a sacred concert with church members Susan Lueneburg and Josh and Sarah Mose following the sermon. All services on Sunday will feature a sermon, congregational participation and Lakeside Lutheran High School’s A Capella Choir. The Lutheran Church will mark its 500th birthday Oct. 31. On that day in 1517 in Germany, Martin Luther posted 95 theses, or statements for debate, that set off the Lutheran Reformation. 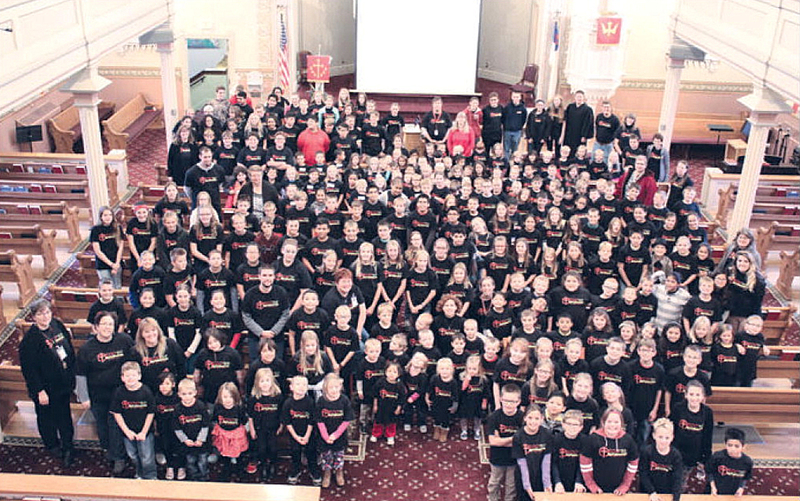 The entire student body and teachers of St. Mark’s Lutheran School celebrated the 500th anniversary of the Reformation with an all-day Reformation Festival. The confirmands are Kaylea Affeld, Annemarie Backus, Braydon Beeney, Ahana Behlke, Olivia Borchardt, Trevor Brunk, Ethan Degner, Noah Dominguez, Mason Eckhardt, Abigail Fiemeyer, Madeline Frohmader, Raigan Good, Lucio Guzman, Kimberly Hafenstein, Caleb Jensen, Kora Kilmartin, Ally Klecker, Kendel Lawson, Emmalee Lehmann, Audrey Meier, Christian Moldenhauer, Jackson Moran, Riley Parsons, Jaydenya Pineda, Desirae Pugh, Ashlyn Rein, Yaritza Rocha, Brian Rupnow, Hunter Schlesner, Emily Schroeder, McKaila Schubert, Blake Schwantes, Carter Slayton, Yahir Toledo, Hannah Uttech, Hunter West, Taylor Wruck, Malinda Zastrow and Cole Zoellick.